This entry was posted in Your House and tagged 7million, 7million7years, debt, debt avalanche, debt snowball, house, Starting Out by Adrian. Bookmark the permalink. I’m not sure if there is a “right” answer to this sort of problem. Normally, if I lacked the means to meet the mortgage payments and saw little prospect of recovering, I would sell and take the loss. First, you have to cut your losses if you want to hold onto your current good credit rating. Second, is more of a question than suggestion. Is there Family in a cheaper area where they can split rents or something to help out in this time,until things get better for them? 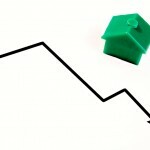 Did you refinance and take equity out? I bet she did since there is no way you are $100k in the hole if you purchased 10 years ago unless you live in Detroit or Gary, IN. Inflation alone would not allow this. She pulled money out and spent it. I live in the Seattle area. In my neighborhood, houses are about at where they were 3 years ago, and well above the amount of 10 years ago. I agree with Brad, they either refinanced and took money out, had an interest only loan, or were overcommited on what their mortgage was. Maybe they are in the hole based on what they house valued at the high point of the market. Unfortunately, if you are having trouble with the mortgage, renting it out won’t help. Rents are low relative to house prices in the Puget Sound. And gets much lower as you move into the surrounding regions. Tough decisions. I wish them luck. This is the an example of the typical American who is quick to not take responsibility for his/her actions. lifestyle = spending to much. “Any clues? What should we do?” What insanity – Do you take any responsibility for your actions? It’s becoming a bloodbath out there. Personally, in the past 5 years the only thing we have done is pay off our bills and save money. Now we are sitting on a wad of cash and ready to buy. I know she said she had been laid off but I didn’t hear anything about working another job or two. While I agree with what others have said I also believe that tough times call for tough decisions like changing what you do for a living if necessary. Luis,and a few others here . I know its very easy to cast stones here, when you read stuff like this. But what ever choices she has made in the past , are in the past, and she is now asking for concrete help on things she can do to make things better. So, all this talk I am hearing is not aimed at helping, and last I knew, this site was set up to help each other do a better job of managing our finances.So, please keep that in mind when making comments huh? The point about taking out equity is important. if she did, and spent it, then that was her “profit” on the investment. she should not expect the bank or the government to forgive her load because she spent the profit already. The reason this is most likely what happened, is that you would be hard-pressed to find a real estate investment in the US that has lost money over 10 years. Inflation alone would have made you a profit in 10 years time. as for my constructive advice to others: don’t take out equity and spend it. Seems like taking out a HELOC is likely what sunk her. In the interim if she wants to stay in the house can she take in a renter? That and both look for any income available.